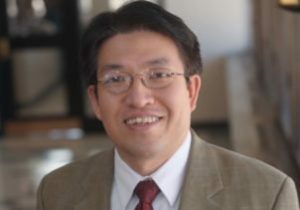 Dacheng Ren, the Milton and Ann Stevenson Endowed Professor of Biomedical and Chemical Engineering in the College of Engineering and Computer Science (ECS), has been named director of the Syracuse Biomaterials Institute (SBI). He has been serving as the SBI’s interim director since 2016 and oversees all day-to-day operations of the institute, an interdisciplinary collaboration of faculty from the College of Arts and Sciences (CAS) and ECS. “I truly enjoyed working with our excellent colleagues and talented students over the past years. I am excited to take this new opportunity to further promote collaborative research and student training related to biomaterials, both on SU campus and with neighboring institutions of SUNY-Upstate and SUNY-ESF. Together, we can accomplish great things,” said Ren. Ren has been a member of the biomedical and chemical engineering faculty since 2006. He also serves as director of the chemical engineering graduate program and holds courtesy appointments in the Department of Civil and Environmental Engineering in ECS and the Department of Biology in CAS. He has been a member of the SBI faculty collaboration since its inception, with his research activity focusing on antifouling materials, microbe-surface interactions, cell signaling, device-associated infections, sensors for pathogen detection, and novel biofilm inhibitors and surface modification for biofilm control. Ren is a past recipient of an NSF CAREER award and a 2014 recipient of a Faculty Excellence Award from the College of Engineering and Computer Science. He is an awardee of 2018 Chancellor’s citation for Faculty Excellence and Scholarly Distinction. Established at Syracuse in 2007 with a central facility in Bowne Hall, the SBI comprises a highly collaborative roster of faculty spanning eight academic units on the SU campus as well as researchers from SUNY-ESF and SUNY-Upstate Medical University. More than 30 faculty members and 150 students, are affiliated with the SBI, pursuing both fundamental and applied research, from the properties of individual cells, to their organization into tissues and organs, to the development of smart biomaterials and medical devices. Areas of focus range from applied biomaterials research; aiming at designing natural and synthetic substances to treat, augment or replace tissues and organs of the human body; to fundamental research into the interactions between biological matter and non-living materials. Research at SBI has been supported by federal agencies (NSF, NIH, DOD), private foundations and industrial partners. SBI members have won over $38 million in research funding and submitted 75 invention disclosures in the past 9 years.